Make like a phantom and disappear from my mind. The Boy’s Midichlorian Count Is Over 9000! Here we go. Star Wars: The Phantom Menace was what I had to act as a conduit into this classic universe. I’m so blessed, right? I had just turned five when this movie was released and I actually caught it in theaters. This was back when I thought it was “Dark” Maul and “Dark” Vader. As a five year old, my critical lense was not yet developed, so my definition of good was seeing a satanic looking guy with a two-sided saber. Little did I know, what I actually saw was a sad attempt to expand a beloved universe. 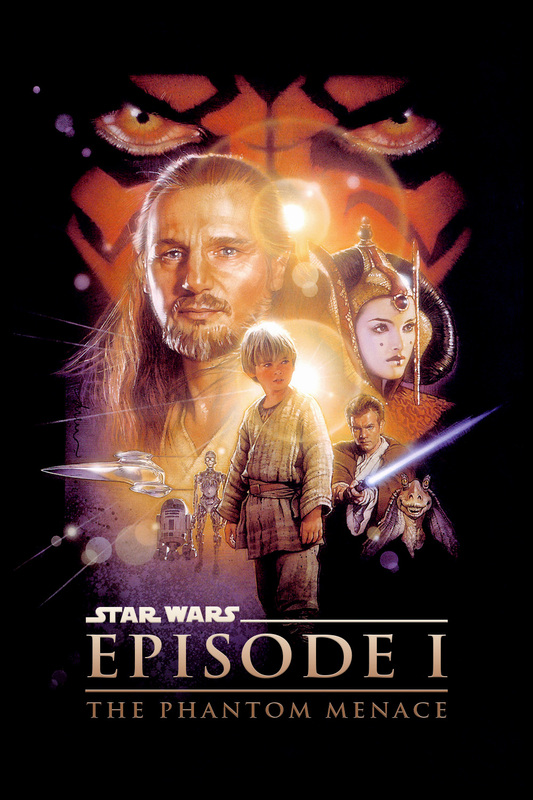 I recently rewatched The Phantom Menace, now making it my most watched of the Original Trilogy and the Prequel Trilogy. For context, I watched it in theaters back in ‘99, again when it aired on TV, once when it was re-releasing in 3D and once more yesterday. This latest view did nothing for my happiness. Jar Jar Binks is terrible; we all know that. I don’t mean to beat a dead tauntaun, but my God, what a disgusting disruption. When the Jedi senses a disturbance in the force, I’m positive it’s this Gungan buffoon. I don’t remember him being quite so prevalent in my past viewings, maybe due to mental repression, but yet he’s littered throughout this movie. There are serious conversations that will determine the future of this galaxy far, far away, and here’s this idiot meesa-ing all over the place. Seriously, even in battle he’s an incompetent creature. There’s a level where things from entertainment live that I truly loathe, and to give context, Adam Sandler movies and Jar Jar Binks are on that level. The Force Awakens is out this week, and if there is anything the movie can learn from Phantom is a whole heap of what not to do. The two films have a bit in common. They both are rebirths of a franchise, with the difference (I presume) being one is actually getting the story right. The Phantom Menace spun its wheels a ton. The nearing introduction of Finn and Rey seems to be on the right path. They’re not all powerful in their skill set and have a new and old world to learn about, but they aren’t babies. I could give two s***s about toddler Anakin. The pacing of Phantom is quite abysmal, so I do hope we can have a proper introduction to each of these new, seemingly interesting characters and get to the actual war within the stars. The Phantom Menace was hurt greatly by its reliance on CGI to fulfill its narrative goal, but TFA looks to have struck a balance between practical and CGI this time around. Finally, since I could go on and on, TFA should definitely look at the way Darth Maul was handled and do the near opposite. Do keep the badassery of the villain in Kylo Ren, but give us a reason to care. In conversations with fellow Star Wars fans, I voice my wish that Kylo Ren turns out to be an almost Zuko-esque character from The Last Airbender. Tease Kylo Ren and his abilities, but definitely don’t make him a cool looking character, with a cool looking lightsaber, who follows the philosophies of the dark side and then not give him much gravitas whatsoever. By the way, just from writing that, the pattern could quite possibly continue. Oh no. Well everyone, that’s my personal experience with and opinion of The Phantom Menace. 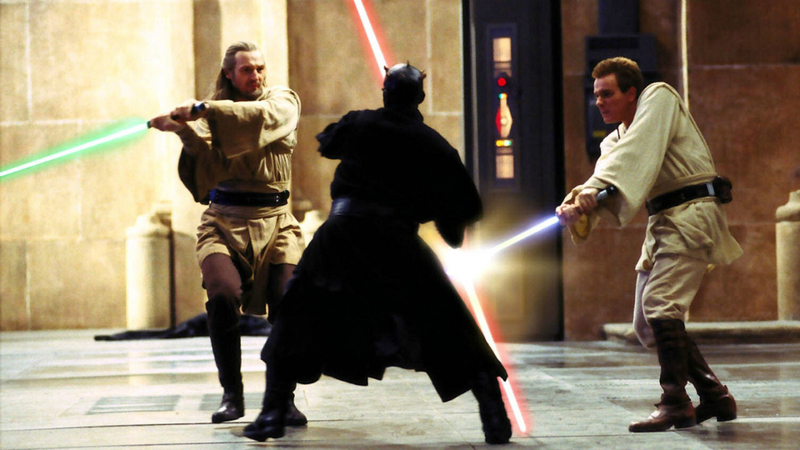 Stay tuned as we edge ever closer to the conclusion of our Journey to ‘Star Wars’ series with Attack of the Clones coming up next. Until next time, may your midichlorian count stay fruitful, and most importantly, may the Force be with you. Is toddler Anakin worse than Hayden Christensen? Will Kylo Ren be another Darth Maul [Insert Michael Scott’s “No God Please No!”]? Tweet your memes @NerdDotMe. And be sure to follow us @YouNerded.